If you would prefer to ask a question before registering please use our contact form. We mainly find au pairs for families who live in London, Brighton and Hove so if you are outside of these areas, it would be worth emailing us beforehand to see if we can help. Once you have decided you would like us to look for an au pair for you, please register via the website. There is no registration fee. Include as much information as you can in all the fields as this will serve as your profile to prospective candidates. Once we receive this, we will call you to chat through your requirements and ascertain if you have the right critera to host an au pair. Some of our clients have been coming to us year after year so we are familiar with them and their family needs, but new clients will normally have a bit more to discuss. It is then our job to try and find you a suitable candidate. We select candidates based on their suitability for childcare and flexibility to fit into family life. We consider these criteria as well as independence, interests and other aspects of personality when making the selection. We will send you files of possible candidates and you can ask to chat to any who you feel may be suitable. If the candidate is interested in chatting with you, they will email you directly to introduce themselves and set up the Skype chat. Once you have spoken to an au pair to whom you would like to offer the position, we will check that they too are keen and once the offer has been accepted, you can send a letter of invitation (a sample of which we can send you). 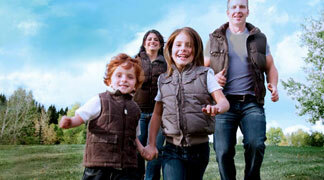 The au pair will then liaise directly with you to make his or her travel arrangements. Au pairs normally pay their own return fare to Britain. We ask you to meet your au pair at the airport or station. If you live far from the arrival point, you will be expected to pay transfer costs from the airport to your home. On arrival, the au pair will receive information and guidance from us along with contact details of other au pairs so they can make friends and establish a social life for themselves. please just call or email us and we will send you your old form for updating - no need to re-register! We aim to find an au pair who not only matches your criteria, but also has the right personality for you and your family. Copyright © 2016 ABC Au Pairs. All rights reserved.